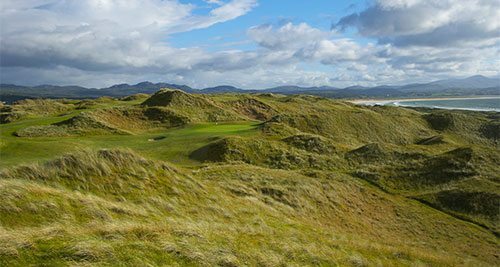 6 rounds of top-class golf and 6 nights 4* accommodation travelling along Ireland’s Wild Atlantic Way. Just wanted to personally thank you for a great trip. Everything went smooth as silk and we thoroughly enjoyed everything about Ireland!!! Great Golf and lots of Guinness! I just wanted to tell you what a great job you and your team did in organizing this trip. I honestly was not sure what to expect given that we have never utilized a company such as yours in the past. However, everyone’s expectations exceeded. The overall level of service and coordination was wonderful. The hotels were first rate. Kerry coaches (and our driver) was incredible. The golf courses magnificent. We were greeted at every pro shop and hotel lobby like family. I want to thank you again and you can count on us using you in 2019 for our next trip! I want to thank you for your assistance in planning our golf trip. You were an invaluable resource to us and we appreciate your efforts. Our hotel in Killarney was a wonderful experience. The staff were beyond anyone’s expectations. They embody all that you would expect in a 5 star hotel. I definitely will look to play Waterville on my next trip. Our favourite was Lahinch. I would play that course again. Once again, thank you for your exceptional service and assistance. I will contact you when we schedule our next golfing trip to Ireland. There is an excellent pub scene in Tralee, albeit mainly at the weekends. If you are looking for a traditional night out, with some good music and craic, during the week your best option would be Sean Ógs Pub, at the weekends your options multiply, with the likes of An Teach Beag, The Brogue Inn, Paddy Macs and Bailey’s Corner all providing top live entertainment. 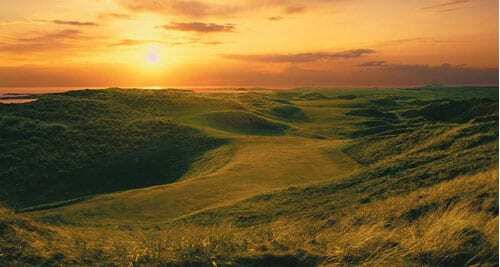 If you would like to get your picture taken close to golfing history, a trip to the Castle Bar is a must, there you will see the wedge Tom Watson used to win The Open. There are some fantastic options for food available, all a short distance from the town centre. Highlights from the list would be D’arcy’s Restaurant, Finnegans Restaurant, The Pikeman Bar and The Stonehouse Restaurant. If you are willing to travel slightly further out of town Spa Seafood, the Westend Restaurant, the Oyster Tavern or Brooks Restaurant are well worth the trip. Tralee has a multitude of historical statues and monuments to visit, some of which are listed below. The focal point of the town is the beautiful Town Park, 75 acres of green in the middle of bustling streets. The park is basically a monument to the “Rose of Tralee” festival, which takes place annually in August since 1959, housing rose gardens, walkways and fountains to honour those who inspired the festival. Also in the region are the Ashe Memorial Hall, with its medieval experience, Siamsa Tire Theatre, Blennerville Windmill, a restored 18th-century mill & St. Johns Church built in 1854. – Valid for 2019 at different rates. Exchange rates are only approximate and will be subject to change at time of booking. – All courses subject to availability at the time of booking. 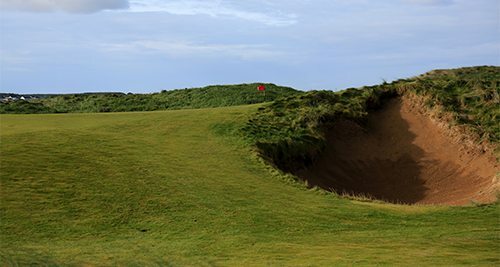 Ballybunion Golf Club closes for the season on October 4th 2019.